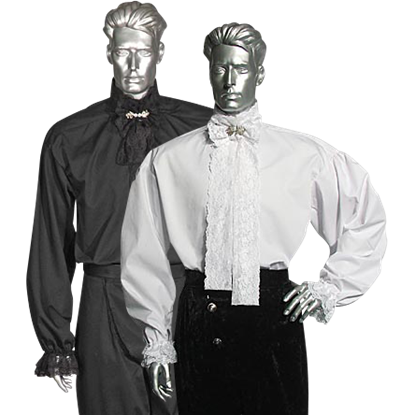 Whether you seek to present a dashing figure to your bride-to-be, or wish to celebrate the joyful union of a friend or family member, Your Dressmaker offers a great variety of wedding and handfasting apparel for men. Whether you need period clothing for a themed wedding from the medieval, renaissance, Celtic, or Scottish traditions, our in-house tailors are worthy of the task. Our unique designs cater to a variety of historical periods and genres including steampunk and gothic. 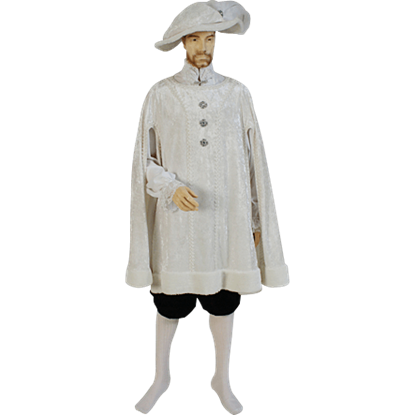 Whether you need a tunic for the role of medieval knight, or a buccaneer shirt for a ceremony upon the Seven Seas, Your Dressmaker offers these items and more. Perhaps you wish to portray the royal leader of a medieval kingdom. We create cloaks made of high quality materials such as velour, satin, and cotton fabrics. Customize your look with the choices in fabric, color, styles, and other extra features that we provide. Whatever theme is chosen for this monumental occasion, Your Dressmaker can provide you with the period clothing necessary to fulfill you role. Be you the groom, or a loyal attendant, you will be impressed by the quality and authentic style of our designs. Our good wishes go with you as you partake in a joyous wedding celebration. 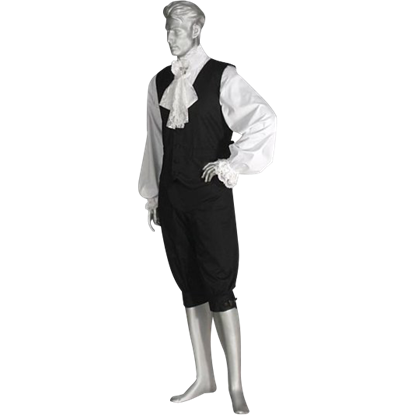 Tailored from high-quality velvet fabric, the Courtly Breeches are calf-length breeches that can be used to build a wide variety of outfits that are either historically accurate or completely fictional, as well as extremely stylish. Simplicity is not always a bad thing. In the Duke's Vest, simplicity is an advantage that is almost unbeatable. This sleek vest is not meant only for antiquated styles of clothing, as it can be used in countless ways to great effect. 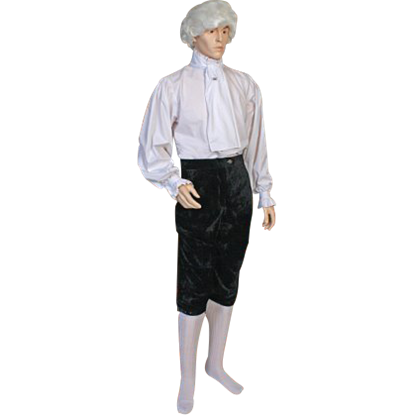 These French Baron Breeches are an essential part of virtually any European Renaissance outfit. 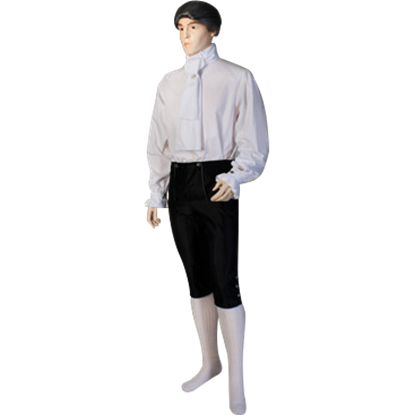 These fitted breeches are made from luxurious taffeta and, when paired with the proper shirt, help to create an authentic and stylish look. The Gentleman's Renaissance Shirt is one of the most elegant and dressy medieval-style shirts available. Made of batiste, this shirt features attractive and tasteful decorations that complement any upscale renaissance look perfectly. 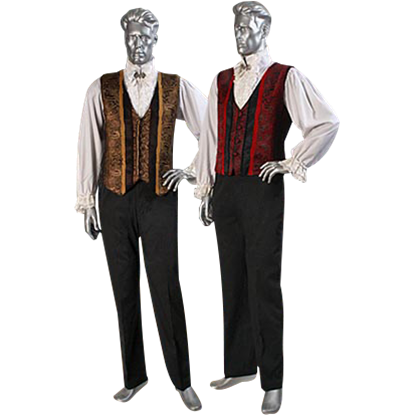 The Gentleman's Vest is a visually complex and striking vest that looks great with medieval and renaissance attire. 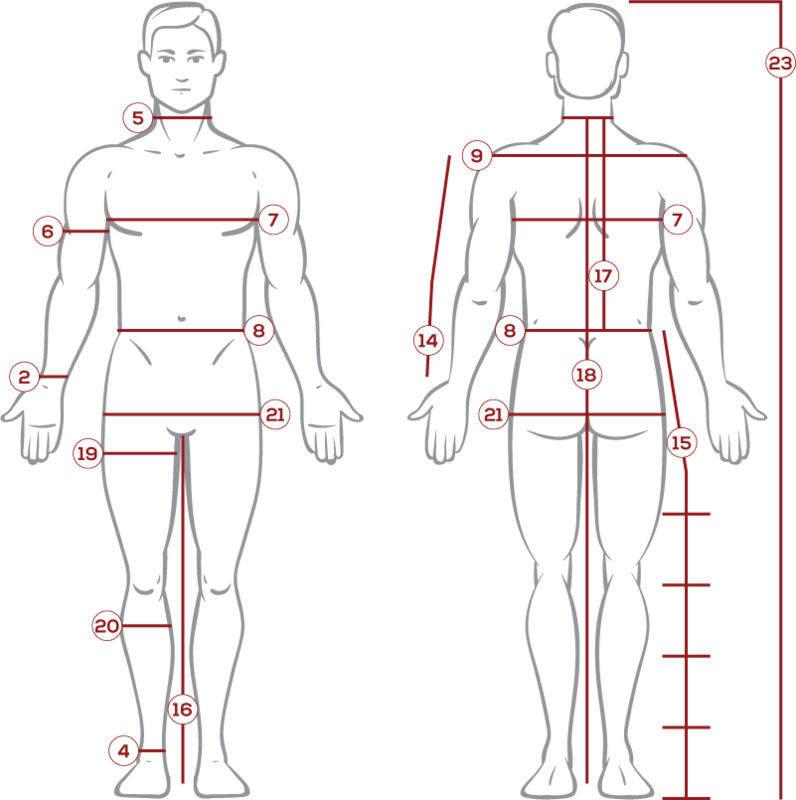 It is also multi-purpose garment that can be used in many ways, from antiquated attire to Steampunk clothing and beyond. Nothing will make you look as regal as a king quite like wearing a kings garments. 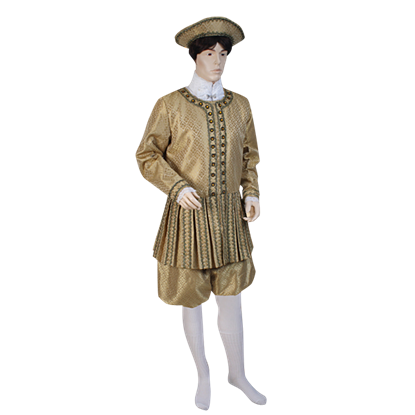 With this King Henry Royal Doublet so readily available, it is a garment that you can add to your attire, to give yourself a royal look whenever you like. 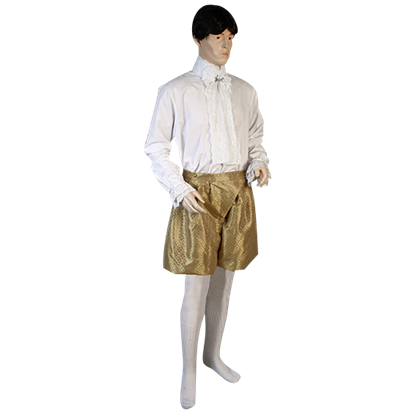 These King Henry Royal Pants are a great way to bring something regal and bright into your look, as well as a comfortable pair of pants to wear. 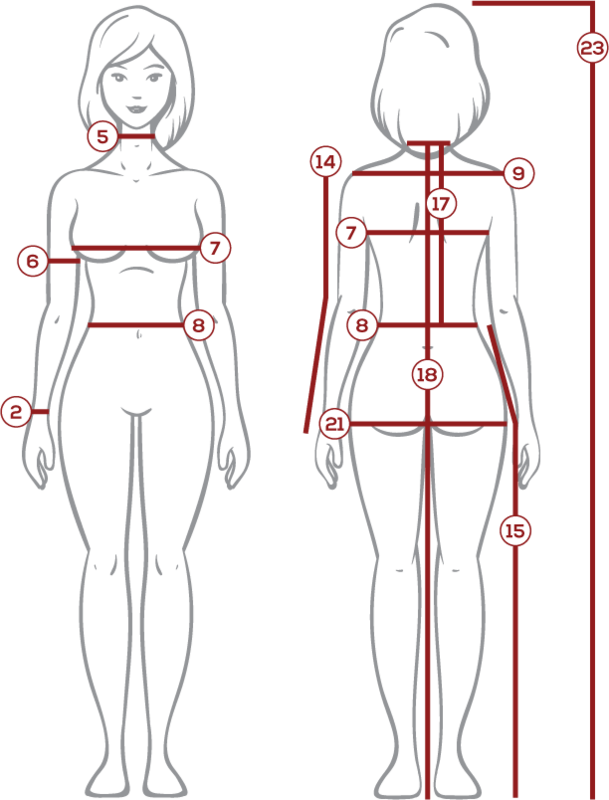 That makes them a stellar addition to your wardrobe, to draw on as often as you like! It is traditional that a lord should have the most elegant garments of his subjects. 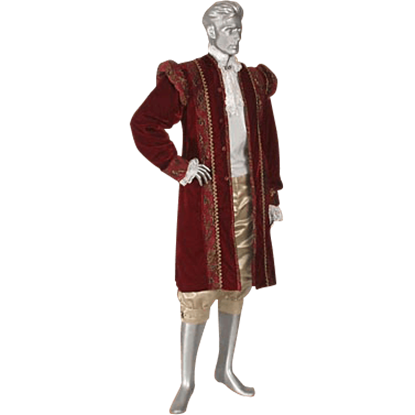 If you are wearing the King's Renaissance Jacket, then you are dressed in kingly regalia, because it is hard to find a jacket that is more stylish. A decorated dress coat is just the ticket to building all sorts of impressive styles. 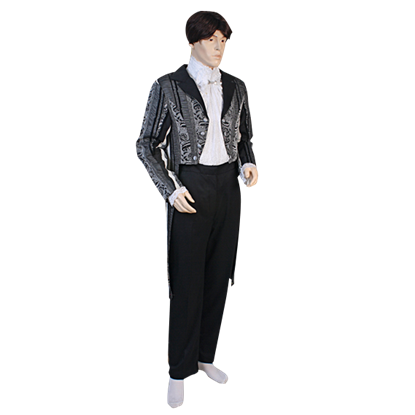 Take this Mens Edwardian Tailcoat, which thanks to its classic cut, will mesh perfectly into formalwear and costumes of varying types with ease. This stunning garment has an extravagance that is fit for a king. 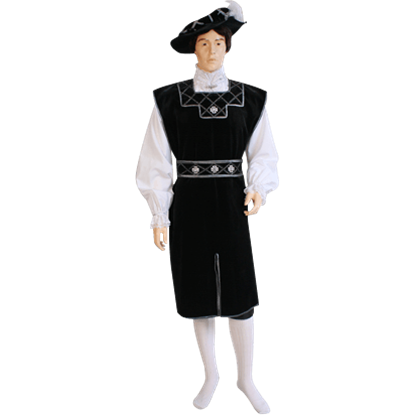 The Men's English Houppelande is styled after the houppelande of the 15th and 16th centuries, this style of garment was favored by Henry VIII of England, of the Tudor Dynasty. 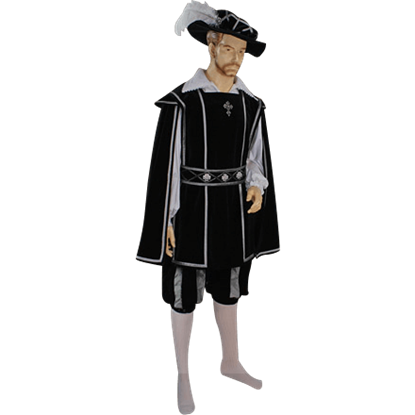 The Men's King Arthur Tunic is an attractive and ornate tunic that is made from luxurious black velvet. This tunic is perfectly styled for the medieval era and features silver decorations, which stand out perfectly against the tunic's black velvet.